At 6 months old, Berwick is a girl with a lot of energy and playfulness. Interested in a new playmate? Drop by PAWS Animal Shelter. A well-rounded girl, one-year-old Dash enjoys both playing and relaxing. Pay her a call at the Champaign County Animal Welfare League. If in need of a new friend, check out 2-year-old Nicole, a Boxer ready to be adopted at the Champaign County Animal Welfare League. Nova is an active 2-year-old pit mix girl ready for adoption at Barely Used Pets. I’m just a little girl. My name is Berwick and I’m around 6 months old. I was found under a school bus at 4 weeks old. I love to play and have a lot of energy. My shots are up to date, I’m feline leukemia negative and spayed. I get along well with other cats and love all of my friends here at Paws..I sure would love to be in my forever home though, is your home the right one for me?..Please come out to Paws Animal Shelter and visit me and my friends..Were located at 1535 W St Rt 36 Urbana, Oh 43078, Hours of operation: Tuesday thru Friday 12 to 5 and Saturday 12 to 4, Closed Sunday & Monday, Or contact us at 937-653-6233, pawsurbana@hotmail.com..Paws runs on donations only and our list of needs are as follows Laundry soap, dryer sheets, Dawn dish soap, Purina cat & kitten chow, canned cat & kitten food (pate’ kind) scoopable cat litter, treats, toys, 39 gallon trash bags, tall kitchen trash bags, paper towels, hand soap, brooms, towels, wash clothes, blankets..We appreciate all the help & support we get from the community because with out you all we can’t care for the babies here at Paws. The Champaign County Animal Welfare League (CCAWL) cat of the week is Dash. 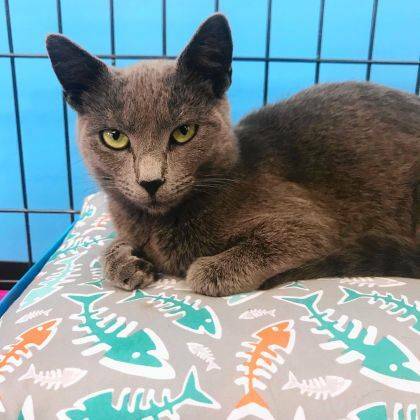 She is a one-year-old domestic shorthair who came to CCAWL as a stray. She is friendly, gentle and playful, but also enjoys relaxing on kitty beds. She gets along with other cats and is litter trained. Dash is spayed and microchipped and current on vaccinations including FRCPP and Rabies. She also has been dewormed and tested for FeLV/FIV negative and is now looking for someone who is going to love her. Her adoption fee is $50.00 cash, credit or debit only. Our hours of operation are Tuesday 12:00 – 2:00 pm, Wednesday through Friday 12:00 – 6:00 pm (adoptions stop at 5:30 pm.) and Saturday 12:00 – 2:00 pm. The Peace, Love & Rescue Fundraiser registrations for team events are due by June 1. The Champaign County Animal Welfare League is hosting this event on June 16th, 2018 (rain date June, 23, 2018.) The registration for a team of 4 is $120.00 ($30.00 per person.) All teams competing will receive a limited edition, participation t-shirt. First & Second place prizes will be awarded. The team events include: Scavenger Hunt, Water Kick Ball, Corn Hole, Mud Pit Tug Of War and much more! So get your best sixties outfit together and come on out for a groovy time! Call us for more information 937-834-5236. We are located 3858 State Route 56, Mechanicsburg, OH,43044. The Champaign County Animal Welfare League (CCAWL) dog of the week is Nicole. She is a 2-year-old Boxer. Nicole came from a puppy mill, but isn’t your average puppy mill dog. She is very social and playful and gets excited to see new visitors. Nicole is almost house-trained and it won’t take long for her to completely comprehend it. She is dog friendly (all sizes) and cat friendly. Nicole is spayed and microchipped as well as current on all vaccinations including the following: DA2PPL, Bordetella, Bivalent Flu, and Rabies. Nicole has been dewormed, heart worm tested negative and on flea, tick and heartworm prevention. She is waiting patiently for that special someone who will give her all the love she deserves. The adoption fee for Nicole and for all of our canine residents is $150.00 cash, credit, or debit. If you would like for Nicole to join your family, you must have an approved application. Our adoption applications may be found on our webpage www.champaigncoanimalwelfareleague.com. Attention: The Champaign County Animal Welfare League is hosting a low cost vaccination clinic for dogs and cats on June 9 from 10 a.m. to 2 p.m. The DA2PPL & Da2PP vaccines for dogs are $10.00; the FRCPP vaccine for cats is $10.00; the Rabies 1 year vaccine is $10.00; the Rabies 3 year vaccine (with proof of a current 1 year) is $15.00 and the Bivalent Flu vaccine is $15.00. The heart worm test and FeLV/FIV tests are $20.00. Heart worm & flea prevention are based on weight and will be available for purchase the day of clinic only! My name is Nova and I am a 2-year-old pit mix found abandoned in a vacant apartment. Don’t know how people can be so cruel. But I still have plenty to smile about. I get along with other dogs, but I do like to play rough. I am a very athletic girl. You probably shouldn’t trust me around cats , but I love kids. I am up to date on shots and am scheduled to be spayed. My adoption fee is $150 which includes my 2018 Ohio dog license. Won’t you find a little space in your heart and your home for me? I will be the best girl you ever, ever had! https://www.urbanacitizen.com/wp-content/uploads/sites/36/2018/05/web1_PawsCatWeb-2.jpgAt 6 months old, Berwick is a girl with a lot of energy and playfulness. Interested in a new playmate? Drop by PAWS Animal Shelter. https://www.urbanacitizen.com/wp-content/uploads/sites/36/2018/05/web1_LeagueCatWeb-3.jpegA well-rounded girl, one-year-old Dash enjoys both playing and relaxing. Pay her a call at the Champaign County Animal Welfare League. 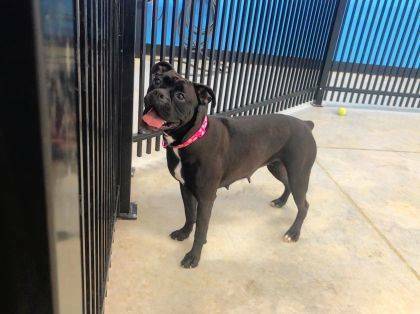 https://www.urbanacitizen.com/wp-content/uploads/sites/36/2018/05/web1_LeagueDogWeb-3.jpegIf in need of a new friend, check out 2-year-old Nicole, a Boxer ready to be adopted at the Champaign County Animal Welfare League. 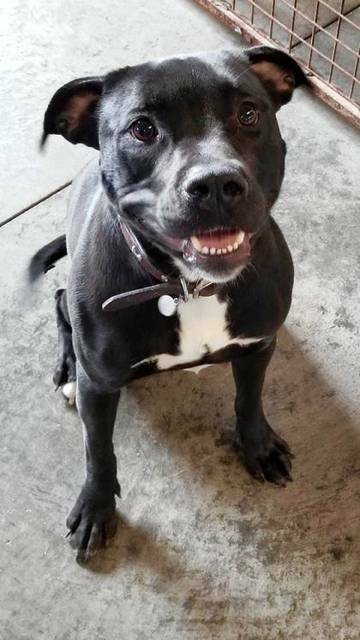 https://www.urbanacitizen.com/wp-content/uploads/sites/36/2018/05/web1_BarelyWeb-2.jpgNova is an active 2-year-old pit mix girl ready for adoption at Barely Used Pets.